Are you worried about the sudden onset of unexplainable symptoms? Do you think you may have diabetes? The diabetes epidemic is a growing concern for many people in the US and a personal one. Diabetes symptoms are your early warning signs, but you might be ignoring your body. Keep reading to learn more about type 1, type 2, and prediabetes. We hear or read the word almost daily. Whether it’s a new treatment, statistics, or about diet, it’s everywhere. • Being overweight means you will become a diabetic—False. • Sugar consumption causes the disease—False. • You can’t enjoy your food like everyone else—False. • Type 1 always onsets in adolescence—False. • If you have pre diabetes, you’ll get it—False. Type 1 is a type of autoimmune disease; medical science still doesn’t have an exact cause, prevention, or cure for it. Often you’ll hear it called juvenile since doctors once believed it always presented in children, but they now know it can onset in adults too. With Type 1, your immune system will attack the beta cells in your pancreas that produce insulin. Your body can partially or permanently lose its ability to create the insulin it requires. Medical science categorizes type 2 as a metabolic syndrome. Your genetics and lifestyle can be two major factors. Age is not considered despite the common onset being over 40 years old; children can have type 2 too. High blood sugar causes the syndrome, and your cells become resistant to the insulin you create. While your body will create more over time, your resistance grows. When you hear the news speak about the diabetes epidemic, they’re mostly referring to what doctors call prediabetes. This means you have many markers or some early symptoms for it, but your blood sugar isn’t quite in the range for a diabetic diagnosis. The Mayo Clinic says you can expect a type 2 diagnosis within 10 years unless you make lifestyle changes. Doctors generally only assess the risk for type 2 and pre diabetes. Type 1 isn’t measurable since researchers don’t fully understand how or why the body triggers it. Both types share a link with genetics. However, just because a family member is diabetic doesn’t mean you will become diabetic. This is especially true with type 2 where your diet and lifestyle play a major role. Obesity factors, such as waist circumference, can increase your risk for developing type 2 or diabetes. However, 15% of people with type 2 are normal weight, so your number on the scale alone matters less. Many of the symptoms for type 1 and 2 are similar. They might onset differently. Type 2, for example, might reveal itself much slower and you might not realize you have it until a routine blood work returns with a diagnosis. Type 1 can show the same symptoms as type 2 quickly and with unpaired severity. Are you peeing more than four to six times a day? Is it paired with an unquenchable, excessive thirst? While this change could be due to normal body fluctuations and outside factors, it is a prominent symptom in all types. Elevated blood sugar is the common culprit, which forces your kidneys to produce more urine. This symptom is for type 1, type 2, and prediabetes. When you’re urinating frequently and eliminating the excessive glucose from your body, you’re also removing calories with it. This can lead you having fewer calories for your body to burn and lead to rapid weight loss. This symptom is more common in type 1. Do you have a cut, infection, or a bruise that’s taking forever to heal? Prolonged high blood sugar can slow down the healing process of your skin, making you more susceptible to infections. Yeast infections can be common for both men and women too. This symptom is for type 1 and type 2. Like most symptoms, this one correlates to high blood sugar. High levels of sugar make you thirst and pee more often, and it leads to unquenchable thirst. Have you ever eaten a meal, then within hours, you’re hit with a gnawing hunger? You might be diabetic. Extra glucose is present in your body. Your cells can’t absorb it as normal. Your body can’t burn the extra glucose as fuel either, so you urinate it out instead. This leads your body to want more fuel and send signals for you to eat again. However, the cycle can lead to weight loss or gain, depending on the person. Ravenous hunger after eating can occur in type 1 and type 2 diabetics. It’s also prevalent in pre diabetes as an early warning sign. Both type 1 and type 2 diabetics can experience this, but it’s more common in the former. When your blood sugar shifts, you can be left with a shaky feeling. Keep in mind this can occur with either a spike or a drop. Stabilizing and maintaining a healthy blood sugar level can eliminate this symptom that affects both types. Have your hands, legs, arms, or feet experienced tingling or numbness you couldn’t explain? Diabetic neuropathy could be a reason. It can take many years before this diabetic symptom occurs since the damage to nerves takes time. 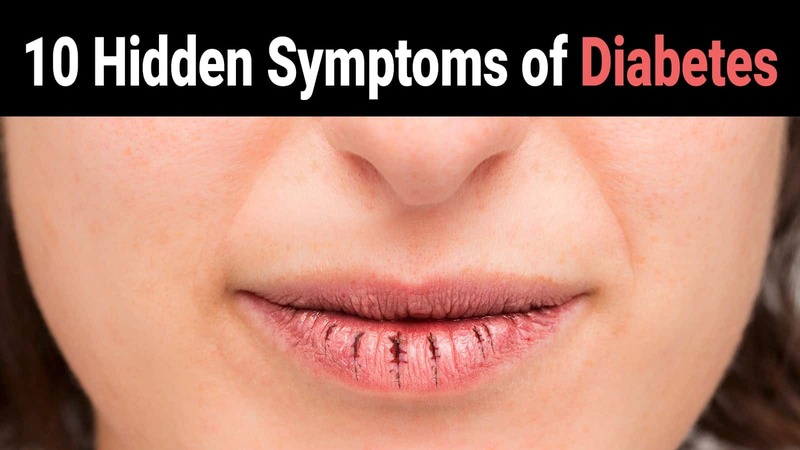 However, if you’ve been undiagnosed and living with high blood sugar, it could be your first symptom. This symptom affects both types. Blurry vision is an early symptom that many people overlook. Your first step is likely a trip to your eye doctor so that they can test your vision. Maybe your vision changed enough for you to ignore the diabetic symptom. However, if left untreated, your blurred vision can develop into diabetic retinopathy, which in turn can lead to blindness. If you’re experiencing sudden onset blurred vision, make a double appointment with your eye doctor and general practitioner. 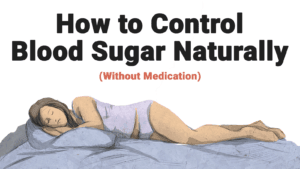 Controlling blood sugar is the single most effective way of managing your symptoms. While there is no cure for type 1, most people can effectively reverse type 2 symptoms through diet, exercise, and lifestyle changes. While it’s easy to say avoid this food, choose this one, and set limits on others, people generally find more success following medically and scientifically sound eating plans. Here are some of our favorites. The right one for you will help you achieve your goals without risking your overall health. Please remember to consult with a doctor, nutritionist, or a natural health provider before making dietary changes. You might require monitoring in the beginning. Diabetics don’t have to forgo all carbohydrates except when a diet plan or their doctor restricts them. Simple carbs will spike your blood sugar and aggravate your symptoms. Complex carbs release slower and provide more nutrition without the side effects because of their high fiber. Even if you don’t make other lifestyle changes or try natural remedies, making this one change in your daily diet today can help you manage your blood sugar, lose extra pounds, and lessen or reverse diabetic symptoms. Americans are notorious for eating larger sized portions. Even our plate size has grown astronomically to keep up with portion size. Many individually packaged foods and beverages contain multiple servings too. • Measure, use a physical reference, or weigh your food. • Read serving suggestions and adhere to them. • Re-bag portions to curb overindulging. • Use a salad sized plate. • Drink a glass of water before your meal. • Fill half your plate with fiber-rich vegetables. • Eat fat and protein with every meal. Eating out poses a huge risk to falling into portion distortion. Many restaurants accommodate without a fuss or extra charge. If possible, order healthier fare or ask portion sizes beforehand. Remember, you can always split a meal or box up leftovers. Be sure to avoid breadbaskets, appetizers, and drinks that will spike your blood sugar. Don’t be afraid to place a special request, such as rich sauces on the side, substitutions, or to bake/broil instead of frying your entree. Speak with your doctor about which herbal supplement is right for you. Remember, herbal and natural treatments can still interfere with your other medications and treatments. If you believe you are diabetic, newly diagnosed, prediabetic, or seeking alternative methods to control your diabetes symptoms, you should consult with your doctor or naturopath. They can give you a proper diagnosis. Many type 1 and 2 diabetics find a balance between conventional treatments and natural remedies that effectively allow them to control their symptoms and live life to its fullest.